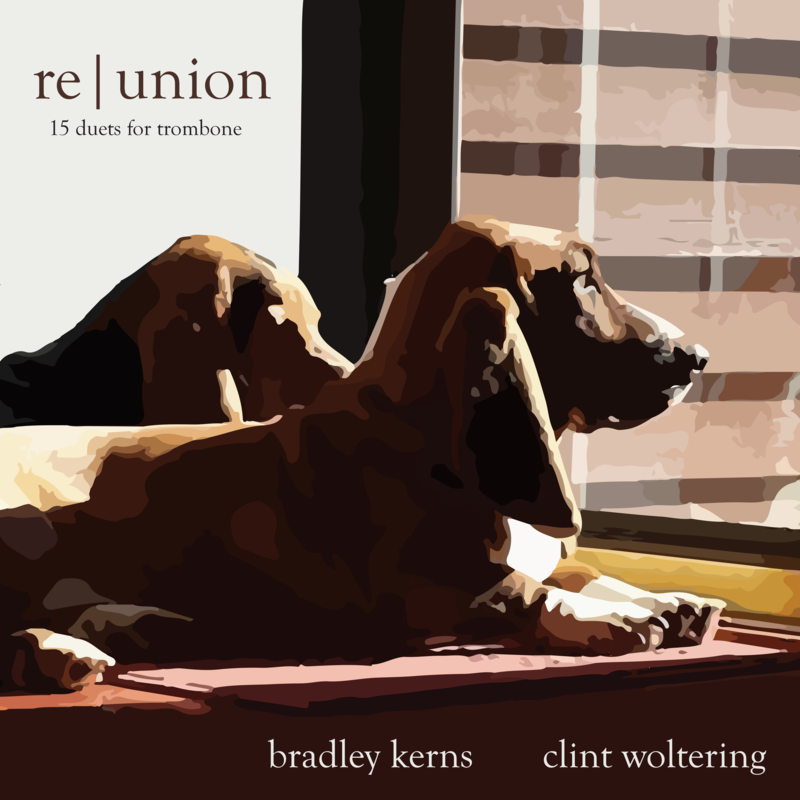 Bradley Kerns and Clint Woltering have known each other since their time as undergraduates at the University of Kentucky where they spent hours upon hours playing trombone duets – since this time, they’ve enjoyed any chance to get together. Reunion is just that – a chance to get back together several years after graduating and collaborate with one another. 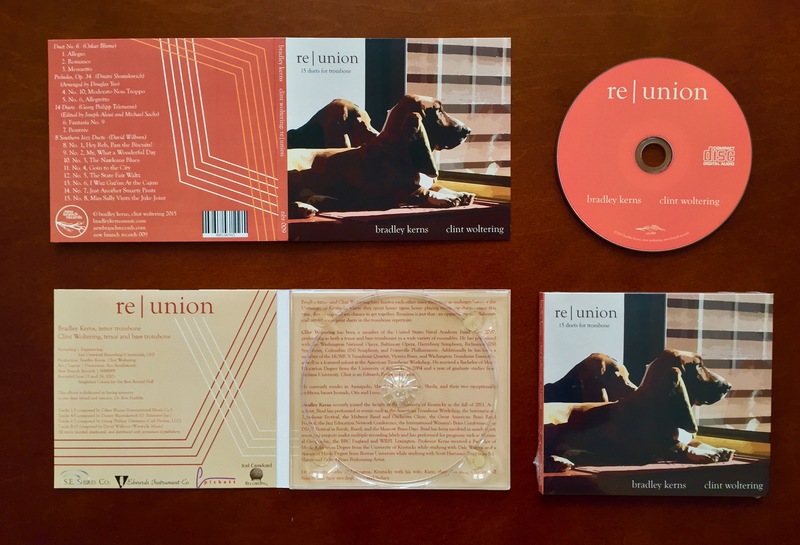 Physical CDs arrived September 10th, and are available to those who want one – they look and sound great! To get a copy or two for yourself, simply send a message to Ben at NewBranchRecords@gmail.com – we’ll get one sent your way as soon as possible!